The Ober-Haus Lithuanian apartment price index (OHBI), which records changes in apartment prices in the five major Lithuanian cities (Vilnius, Kaunas, Klaipėda, Šiauliai and Panevėžys), increased by 0.5% in August 2018. The annual apartment price growth in the major cities of Lithuania was 3.2% (the annual apartment price growth in July 2018 was 2.9%). In August 2018 apartment prices in the capital grew 0.5% with the average price per square meter reaching EUR 1,489 (+8 EUR/sqm). Since the last lowest price level recorded in May 2010 prices have increased by 29.0% (+334 EUR/sqm). Apartment prices in Kaunas, Klaipėda, Šiauliai and Panevėžys in August grew by 0.4%, 0.4%, 0.6% and 1.0% respectively with the average price per square meter reaching EUR 1,056 (+4 EUR/sqm), EUR 1,061 (+4 Eur/sqm), 641 (+3 EUR/sqm) and EUR 619 (+6 EUR/sqm). 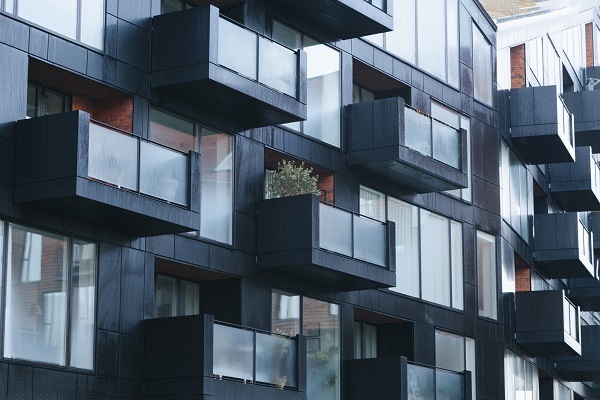 In the past 12 months, the prices of apartments grew in all major cities: 9.7% in Panevėžys, 5.9% in Šiauliai, 4.2% in Kaunas, 2.8% in Klaipėda and 2.3% in Vilnius. ‘The indicators of the past years show that the average sales prices of apartments in the major cities of the country have increased faster than the prices of consumer goods and services in the country. According to Statistics Lithuania, in August 2018 the annual inflation rate calculated on the basis of the Harmonized Index of Consumer Prices was 1.8%. Meanwhile the price of apartments in the major cities of the country increased at a yearly average rate of 3.2%. Over the past five years, i.e. in August 2018 compared to August 2013, the inflation rate was recorded at 6.2%, whereas the price of apartments in the major cities of the country over the same period has increased on average by 18.9%. This means that over the past five years the real sales prices of apartments in the major cities of the country increased by 11.9% adjusted for inflation. Since sales prices of apartments have increased at a different rate in the major cities of the country, real apartment prices have also risen at different rates: 16.7% in Vilnius, 13.1% in Panevėžys, 10.3% in Šiauliai, 6.6% in Kaunas and 3.9% in Klaipėda. However, we must not forget that in the past five years the real wages in the country have grown by a third. Thus, although housing prices have increased faster than the prices of goods and services in the country, their increase does not match the statistical rate of pay growth,’ Raimondas Reginis, Ober-Haus Research Manager for the Baltics, said.